The chances of English dementia patients getting the medication they need hinge on how well off they are, researchers say. 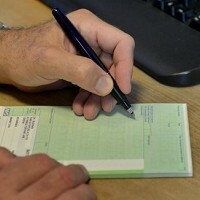 The team, based at University College London (UCL), say its analysis shows patients in the least deprived areas are 27% likelier to get the prescription they need than those in the poorest ones. But they say the same is not true in Scotland, Wales or Northern Ireland, where prescribing is not linked to deprivation. The researchers looked at over 77,000 patients' medical records and the access they have to memantine and cholinesterase inhibitors, the only drugs recommended for Alzheimer's disease by the National Institute for Health and Care Excellence (NICE). NICE recommends that memantine is prescribed to patients with severe Alzheimer's as well as in some moderate cases. Cholinesterase inhibitors, meanwhile, are recommended for mild and moderate cases. While medication can help people with Alzheimer's, taking a foreign holiday - covered by an affordable dementia travel insurance policy - might also be beneficial. Although the NICE guidance covers doctors in England and is generally followed by those in Wales, Scotland is a different story. The NHS permits doctors there to follow advice from the Scottish Intercollegiate Guidelines Network. That guidance allows the drugs to be prescribed to patients whose dementia is at any stage. Dr Claudia Cooper, the study's author, says where access to drugs is constrained, more well off patients and their families tend to be in a better position to get to grips with the healthcare system and sidestep the restrictions. Researchers say the study's findings suggest there is a need in England to come up with strategies that will see more deprived dementia patients getting the treatment they need. They say while the English National Dementia Strategy was drawn up four years ago, there was no evidence to suggest it had succeeded in cutting prescription inequalities. And they add that the difference in guidelines for doctors in Scotland, together with a higher overall rate of anti-dementia drug prescription there and in Northern Ireland, could explain the variations in prescription equality. The study is published in Age and Ageing.